Book our official Walt Disney World tickets and experience all the magic of the Disney Parks with one easy pass! 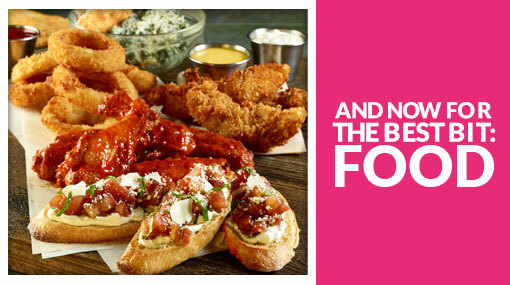 The perfect ticket if you’re visiting Orlando for a fortnight! 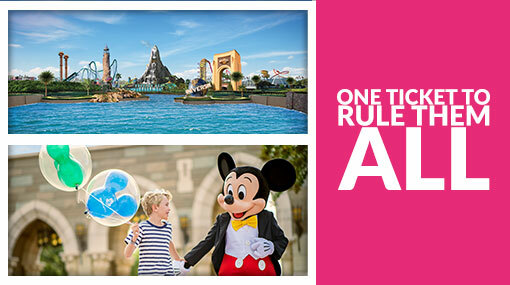 Get 1 whole week at the Disney parks for FREE! Disney's 14-Day Ultimate Ticket expires 14 days from the first day of use. For child tickets, children must be aged 3-9 years at the time of use. All offers are subject to availability. This ticket is available to book until 29th August 2019 and is valid for visits in 2019 only. Enjoy the Disney Parks at your leisure over the space of 3 weeks! 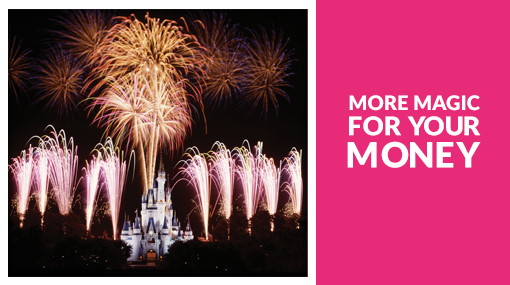 Make the most of Walt Disney World for one magical week! Make the most of Walt Disney for one magical week! Admission to all of the Walt Disney World and Universal theme parks including Universal's NEW Volcano Bay Water Theme Park! Admission to the Harry Potter parks & Hogwarts Express included! 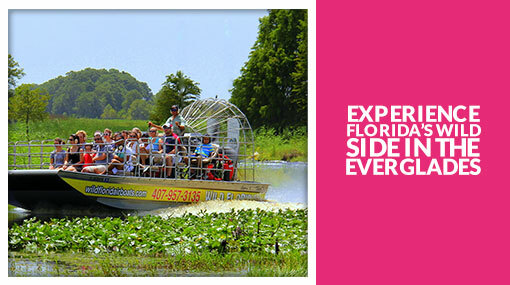 Admission to 12 of the biggest Florida parks at one bargain price! Save money compared with buying tickets individually! 14 days’ unlimited entry at one great price! Book UK-Exclusive Disney Tickets & let the Magic Begin! Imagine a place where every day holds new magical experiences. Where you can live your childhood dreams and meet the characters you loved your whole life. You’ll find all this and lots more at Walt Disney World Florida! Don't waste time waiting in queues! With our tickets you'll get Disney’s FastPass+†, to reserve your place on the most popular rides, attractions and Disney Character experiences up to 30 days before you arrive. Make sure you capture it all! Our 7, 14 and 21-day adult tickets include the Memory Maker Photo Package worth a whopping $199 at the gate. Memory Maker magically stores all of your Disney PhotoPass photographer pictures - including ride photos - for you to download when you get home. So no-one needs to step out of your group to take a picture! The fun of your Disney World holiday starts before you even leave home with My Disney Experience – included with all of our Disney World tickets. Pre-book your place on the most exciting rides, attractions and shows, make reservations at the best restaurants and even reserve a time to meet your favourite Disney characters! Reveal Kits subject to availability, while stocks last. For visits in 2019 only. Minimum 2 passengers required. Offer is not available to customers visiting within 7 working days of booking. Kits may take up to 7 working days to be delivered. With the 7, 14 and 21-day Disney World tickets you can come and go between these Disney Parks as many times as you like! You can even hop between parks on the same day, using the free transport that connects all the Disney Parks and Disney Resort hotels. The first ever park to open at what is now the Walt Disney World Resort, Magic Kingdom Park is the world's most-visited theme park with over 19 million visitors every year! Future World: Where you can see all kinds of technological innovations, and also one of the fastest attractions to be found in any Disney Theme Park! World Showcase: In which you can explore the culture and cuisine of 11 countries. Even if you’ve never been to Epcot before, you'll definitely recognise it's most iconic attraction - Spaceship Earth - which looks just like a giant golf ball! The biggest animal-themed park in the world, with around 2000 animals representing 300 species! Disney's Animal Kingdom Theme Park is made up of 6 magical lands, complete with rides, attractions, spectacular shows and set within the lush landscapes of Africa and Asia, where the animals roam freely in incredible recreations of their natural habitats. Disney’s Hollywood Studios offers a glimpse of the behind-the-scenes action, glitz and glamour of the golden age of Hollywood’s movie industry. With all the energy of a blockbuster movie set, you’ll feel like a star as you walk down the red carpet into the heart of movieworld. 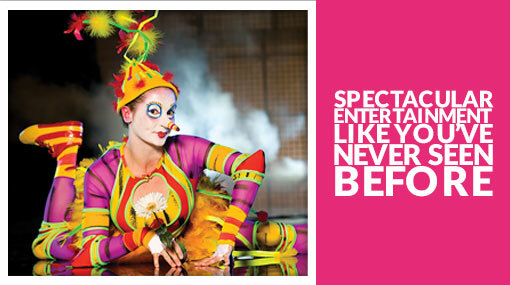 From thrilling attractions to live spectaculars and exciting backstage action - are you ready for your close-up?? Slide down the slushy slopes of one of the world’s fastest and tallest waterslides at Disney’s Blizzard Beach Water Park – a snow-covered ski resort which melted in the heat of Florida! Sunbathe on a white-sand beach, glide down Runoff Rapids, take a toboggan ride or hop on a fully-functioning chair-lift. And not forgetting the little ones of course - they have their very own mini-size waterslides too, topped with a snow-castle fountain! Soak up a storm of fun in this tropical paradise, strewn with wrecked ships, fishing gear and surfboards where, according to "Disney legend" they were flung by a massive typhoon. The park’s centrepiece is "Miss Tilly", a shrimp boat impaled upon a mountain named "Mount Mayday" that erupts a 50-foot (15 m) geyser of water every half-hour. Plunge down rushing rapids, sunbathe on a sandy beach, glide down a lazy river, and experience the 6-foot swells of North America’s biggest wave pool! Take a stroll along the waterfront at the fun-filled Disney Springs area (formerly known as Downtown Disney) and visit unique shops, world-class restaurants, enjoy spectacular entertainment and more! Walt Disney World Florida is open 365 days a year! Staying at a Disney Resort Hotel? You'll get FREE standard parking at the Disney Theme Parks during your stay! We’ll send you a real ticket that's ready to go - no need to queue at redemption points, just walk straight into enter the park! On the back of your ticket you’ll find your own unique visitor number. Use it to complete your My Disney Experience profile and access your personal Disney holiday planner! Children under 3 enter for free! We recommend to wear casual and comfortable clothes for a day at the Disney Parks. You’ll be doing a lot of walking, so good comfy, sturdy shoes should be the first thing you pack! There are a huge variety of restaurants at Walt Disney World Resort, ranging from à la carte meals to self-service outlets, bars and cafés for sandwiches and snacks. ^Memory Maker includes Disney PhotoPass photos and other digital content taken during the Memory Maker window and linked to the Memory Maker guest’s Disney account. If Memory Maker is sold or ordered in combination with a Park ticket, the Memory Maker window for that Memory Maker entitlement will be equal to the usage window of the associated Park ticket and will automatically begin upon the first use of the associated Park ticket. The Memory Maker window will end upon the sooner of either the expiration or depletion of the Park ticket. A MagicBand is required to receive certain attraction photos and other digital content. Photos and other digital content will expire pursuant to the expiration policy at mydisneyphotopass.disney.go.com/help-and-support. Valid Theme Park admission required for certain photo locations. Memory Maker is subject to Memory Maker terms at mydisneyphotopass.disney.go.com/memory-maker-terms and, if applicable, Family & Friends terms at https://disneyworld.disney.go.com/ en_GB/park-experience-terms-conditions. Disney is not responsible for missing, lost or damaged photos or other digital content. ^^Valid Theme Park admission and online registration required. Disney's FastPass+ attractions and entertainment experiences, the number of selections you can make, and available arrival windows are limited. Disney FastPass+ attractions subject to change. **ESPN Wide World of Sports Complex: Valid only on event days; some events require an additional admission charge. ***You may only visit one miniature golf course per day and cannot visit both on the same day. Valid for one round per day (round must start prior to 4pm). Disney World Tickets - Your Questions Answered! Q: Can I buy these tickets for the same price when I get to Florida? No – the deals we offer are specifically for advance tickets. Admission prices at the park entrance can be much higher than booking tickets in advance, so we always recommend to book before you get there! Q: Can I book these tickets if I live outside the UK? Unfortunately not – Our tickets are exclusive to UK customers and can only be purchased by customers with a UK address and using a UK-registered payment card. Q: I'm visiting over Christmas & New Year - will my ticket expire on New Year's Eve? No – as long as you activate your ticket by 31st December in the year you selected when making your booking, you will still be able to use it into the new year. For example, if you begin using a 14-day ticket on December 31st, you will be able to use it until January 13th the following year. Q: I heard Walt Disney World is BIG – how will I get around? You heard right! The Walt Disney World Resort is about the same size as the City of Manchester! Q: How do I use My Disney Experience? Once you’ve scratched off the foil, visit My Disney Experience and enter the complete number into your profile. 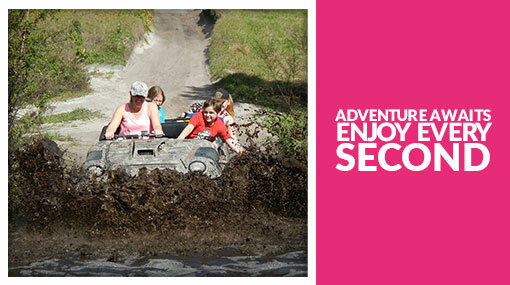 You can then begin to personalise your holiday plans! Q: Can children under 3 enter free? Children under 3 can enter the Disney Parks for free. However, please be aware that you may be requested to show ID for proof of age. Q: What does ‘Green Fees Only’ mean? Your ticket includes entry to Disney’s miniature golf courses. Golf equipment is not included but available for hire. You may visit one miniature golf course for one round per day. However, you cannot visit both courses on the same day. Your round must start before 4pm.